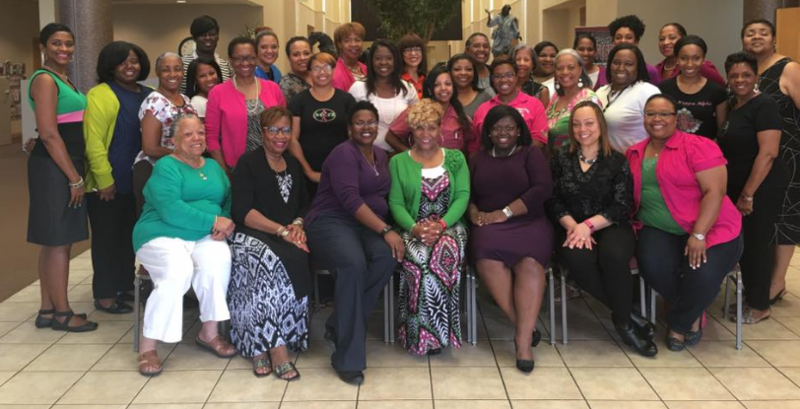 The 2016 Health Symposium was held on October 22, 2016 at the Missouri City Baptist Church. It was an Outstanding Event! The theme was "Caring for the Body, Mind & Spirit". 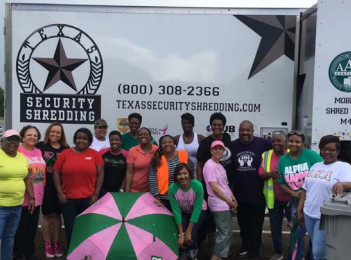 On Saturday, September 10, 2016, Mu Kappa Omega members volunteered in the Fraud Watch Shred Event. The event was hosted by AARP and held at Brentwood Baptist Church located at 13033 Landmark, Houston, TX. "The Longest Day" honors the strength, heart and endurance of those facing Alzheimer's disease. Held annually on the summer solstice, the duration of this sunrise-to-sunset event symbolizes the challenging journey of those living with the disease and their caregivers. Mu Kappa Omega members were charged with creating their own experience and participating in an activity to honor someone facing the disease. 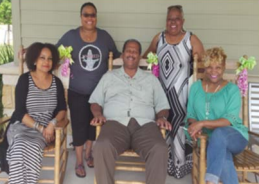 On Friday, May 20, 2016, Mu Kappa Omega Chapter President, Madelyn Nunn, 2nd Vice President, Sharron Crayton, and member Renee Comeaux, delivered three (3) natural wood rocking chairs adorning pink and green “sparkle,” and a custom green (and gold) name plate for each chair to The Pinnacle Senior Center, which is located at 5525 #C Hobby Road, Houston, Texas 77053. 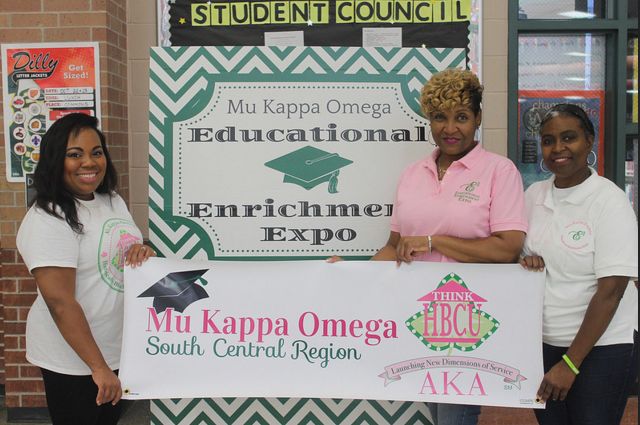 On April 28th the members of Mu Kappa Omega traveled to Little Rock, Arkansas for the 84th South Central Regional Conference. 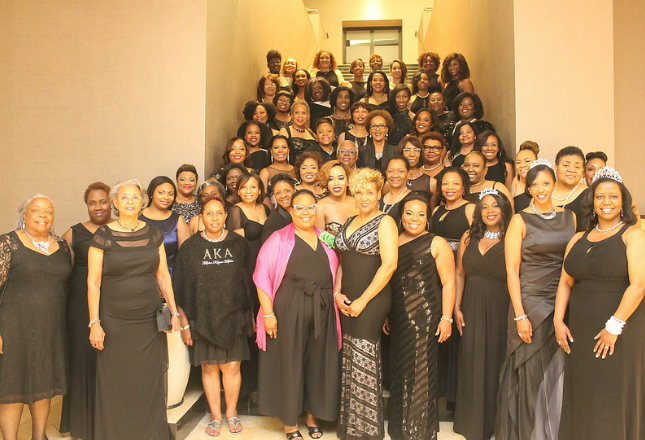 The theme was “Diamond Dimensions of Service and Sisterhood …It’s Natural". Members were filled with enthusiasm and full of energy, as they attended workshops, classes, service initiative projects and sisterly relations activities. On April 16, 2016, chapter members, family and friends gathered at Kitty Hollow Park for the annual PINKnic. 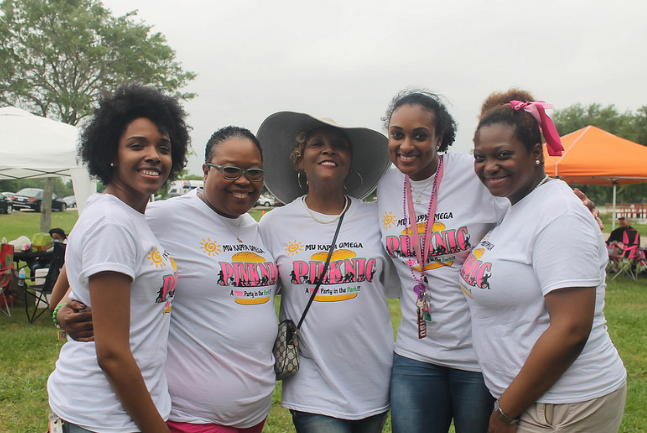 This year’s event was led by Monika May, PINKnic Committee Chairman along with Co-Committee Chairmen, Maudrie Leger and Monique Phillips. 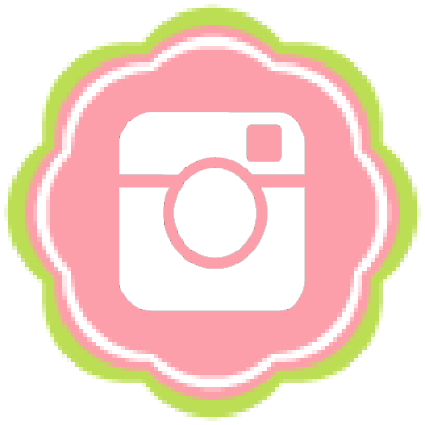 The event, which was themed “A Pink Party in the Park” was attended by over 300 members, family and friends. 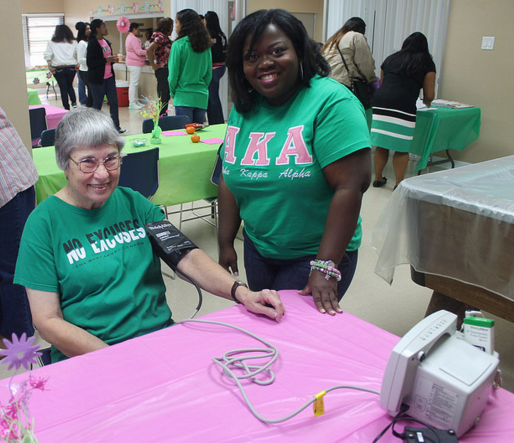 On Saturday, April 2nd, members of Mu Kappa Omega provided lunch, activities and prizes for 39 senior residents of 6000 Telephone Road. 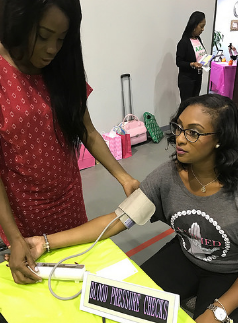 The program highlighted a presentation on "Aging Well" by Dr. Cleve Lewis, as well as Zumba instruction by Mu Kappa Omega member Uchenna Emenaha. 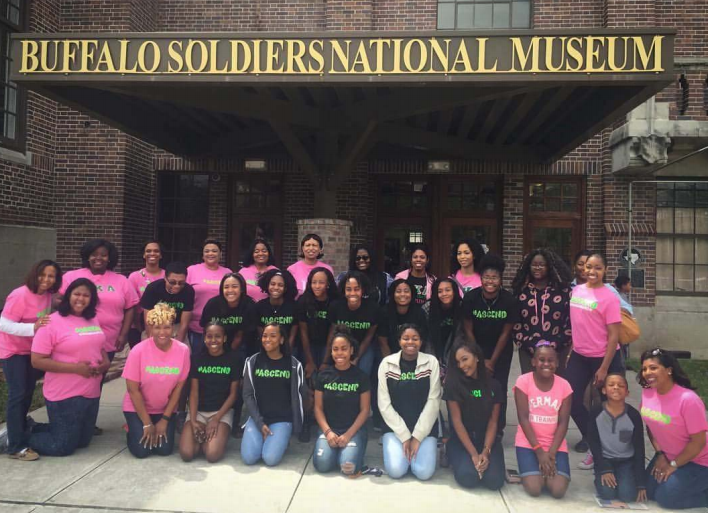 On Saturday, March 26, 2016 ASCEND students and coaches toured the historical Buffalo Soldier National Museum. Students and members were able to learn more about not only African American history, but American history as well. The goal of the Buffalo Soldier Museum is to interpret articulate collect display and preserve historical artifacts documents videos prints and other historical memorabilia which details the history of the brave men and women who overcame extreme adversity while gallantly fighting the great American wars. The 2nd Annual Educational Enrichment Expo connected nearly 450 attendees with HBCUs, local community colleges, foundations offering scholarships, educational service organizations, branches of the military and NASA. Attendees also had the opportunity to take advantage of participating in several ‘Real Talk’ workshops. These were not your typical presentations, instead participants engaged in interactive conversations with experienced panelists. 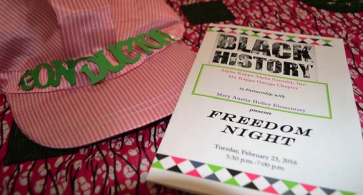 On Tuesday, February 23, 2016, over 260 student participants celebrated Black History at Holley Elementary's 1st Annual Freedom Night! The students were able travel along the "Underground Railroad" to learn about the history that helped slaves escape safely to freedom. The Choir, consisting of 3rd, 4th, and 5th grade students, opened the program with two musical selections before the exploration began. 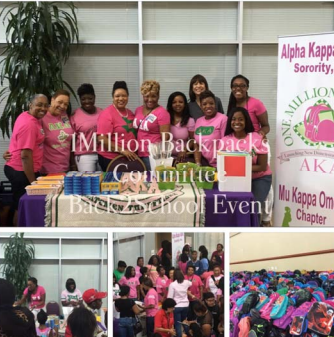 On February 3, 2015 Mu Kappa Omega set out to “connect” with the community again! Armed with smiles, determination and Voter Registration tools, members attended “Responding to Law Enforcement”, a forum featuring a panel of police officers, lawyers, and judges that provided information and insight on appropriate ways to engage with law enforcement officers. 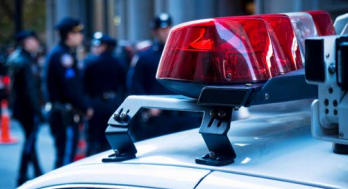 Its goal was to improve relations between police officials and the communities they serve. 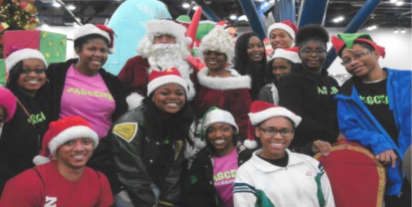 On Saturday, December 19, 2015, Mu Kappa Omega (MKΩ) ASCEND students volunteered at the 21st Annual “Toys For Kids” holiday party, hosted by Congresswoman Sheila Jackson Lee at the George R. Brown Convention Center. ASCEND students served food and passed out toys to children in need. In addition, they participated in a parade of special guests and were responsible for operating the photo booth with Santa and Mrs. Clause. A donation of gift cards was also given at the event on behalf of MKΩ and the ASCEND Program. Lunches of Love serves nutritious lunches Monday-Friday during extended school holidays. Each lunch costs approximately $0.75. 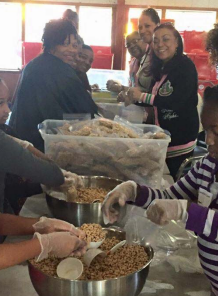 Mu Kappa Omega members helped to prepare lunch bags at the First United Methodist Church in Rosenberg, TX on Saturday, November 21, 2015. Inside every bag is a main entrée such as a sandwich, spaghetti or hot dog and goldfish, pretzels or wheat thins. It also includes either fruit, yogurt, or low fat snack, juice or water. 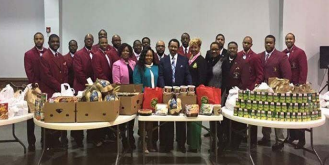 On Thursday, November 12, 2015, Mu Kappa Omega Chapter in partnership with the Brothers of the Missouri City – Sugar Land Chapter of Kappa Alpha Psi Fraternity, Inc. hosted “Kocktails for a Kause” Holiday Food Drive. The donations from the food drive were delivered to Missouri City Baptist Church where 10 families benefited from the non-perishable food items in the form of Thanksgiving dinner baskets. 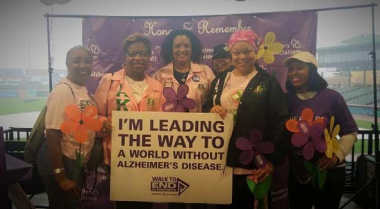 The Mission of the Alzheimer’s Association is to eliminate Alzheimer Disease through the advancement of research; to provide and enhance care and support for all affected; and to reduce the risk of Dementia through the promotion of brain health. 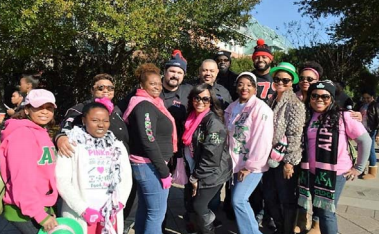 On Saturday, October 31, 2015, members of Mu Kappa Omega Chapter gathered at Constellation Field in Sugarland, TX. 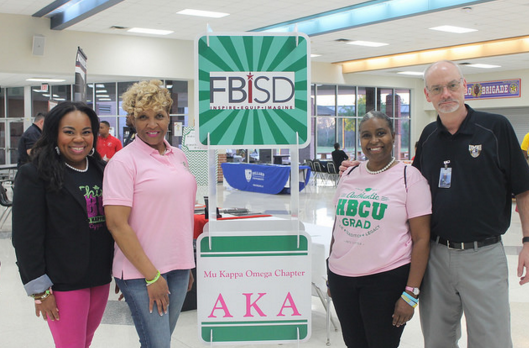 Mu Kappa Omega Chapter of Alpha Kappa Alpha Sorority, Inc. partnered again with Fort Bend Independent School District (FBISD) to host E3 – An Educational Enrichment Expo - The Workshop Series on Saturday, October 31, 2015 at L. V. Hightower High School in Missouri City, Texas. This was the first time we were able to conduct student and parent workshops as a part of the Expo. Suicide is the fourth leading cause of death for adults between the ages of 15 and 64 years in the United States. Ninety percent of all people who die by suicide have a diagnosable psychiatric disorder at the time of their death. 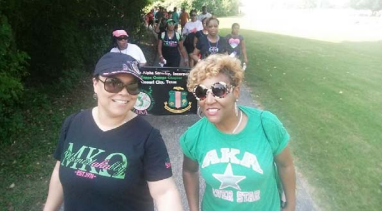 On Saturday, September 26, 2015 at Oyster Creek Park in Sugar Land, Texas Mu Kappa Omega participated in this event as part of Alpha Kappa Alpha Sorority, Inc.’s Health Promotion-Target II.